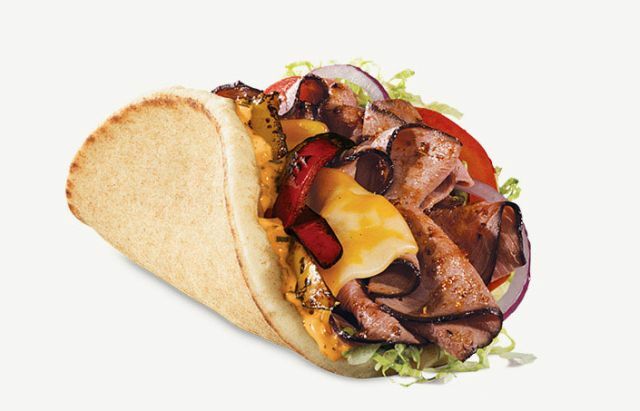 Fajita Flatbreads are back at Arby's, bringing with them a touch of Mexican (or Mexican-inspired) flavor to the menu. This time around, they added a chicken option in case you don't feel like steak. The Steak Fajita Flatbread features sliced Angus steak with Fajita seasoning, avocado sour cream sauce, a slice of Colby cheese, red and yellow peppers, red onion, shredded iceberg lettuce, and tomatoes folded inside of a pita. 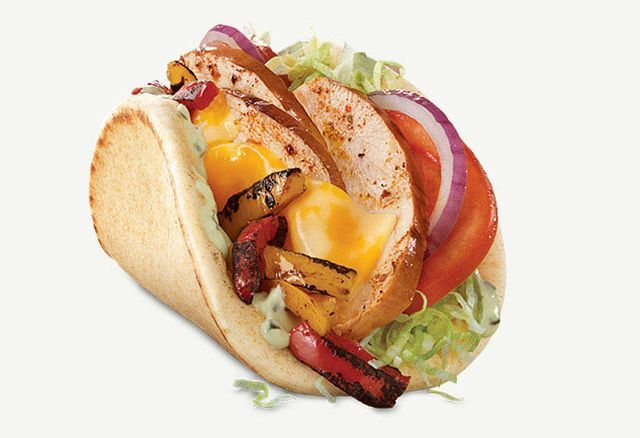 The Chicken Fajita Flatbread includes all the same ingredients but with roasted chicken breast instead of steak. There's also a spicy version of each sandwich that switches out the avocado sour cream sauce for Ghost Pepper Avocado sauce. The Fajita seasoning consists of "spices," onion, garlic powder, ancho chili pepper, lime juice, and chipotle pepper. Arby's Fajita Flatbreads were first introduced in late November of last year at select locations. This year, they're available for a limited time at participating locations nationwide. The suggested price for the Flatbreads is $4.99. You can find my review of the spicy steak version here.